Happy spring! Did you celebrate the Vernal Equinox last week? I did, by counting any and every flower I saw in bloom – and there were many! Jasmine, wisteria, gerbera daisies, iris, rosemary, cactus flowers, bougainvillea everywhere! I could go on and on. I love this time of year! It puts me in mind for celebrating, and what’s a celebration without treats? 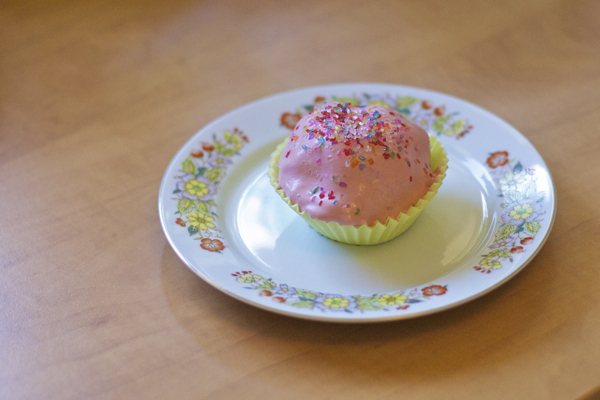 Brightly colored cupcakes, pastel icing on sugar cookies, and maybe even a frosted watermelon. And of course, all your Easter activities. But, we’re all on the same page with chemical food dyes, right? As in, artificial coloring has been linked to everything from allergies to cancer to hyperactivity and behavior problems in children (for more information, see this comprehensive report by the Center for Science in the Public Interest). 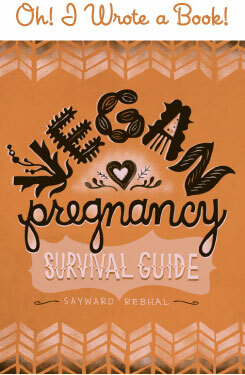 NOT something I want you to be putting into your – or your babies’ – mouths. Which is why I’ve got you covered. So here are my go-to techniques for all your DIY food coloring needs. Remember, produce not “products”! Okay?! Look no further than your spice rack for all your golden, citrine, and sunshine-y needs. Saffron flowers and turmeric powder have both got you covered, but be careful! These spices are extra strong. A little goes a long way, so start veeeerry small and test as you go. A great technique is to replace liquid in the recipe (either baking or frosting) with spice-infused water. Don’t waste your time on oranges or tangerines – carrots are where it’s at. Juicing them is the most effective method, so if you don’t have a juicer just buy some fresh 100% carrot juice at the market. 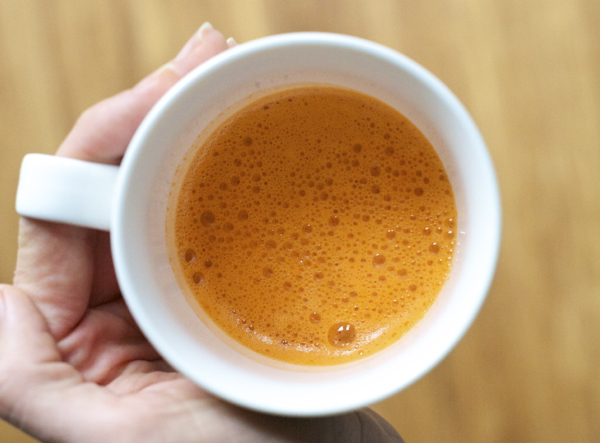 They’ll add a smidge of flavor but I doubt you’ll notice, ’cause carrot juice is sweet! Beets, baby. They offer vibrant color with almost no flavor change. Beets are so strong they’ll dye your hands just cutting them. They’re made for the job! Just juice them, or boil them in very little water to make a concentrated liquid. For a lighter pink and a bit more flavor, you can use red berries, like raspberries or strawberries. These will impart their own taste – which is great! (Hello, orange teacake with pomegranate glaze. I think I love you.) To use berries, just mash them or blend them, then strain the liquid through mesh to remove the seeds. You know what I’m going to say right? Spinach, all the way. It’s super saturated and totally flavorless, making it the perfect addition to your St. Patrick’s Day cookies or your Earth Day cake. If you have a high-speed blender, you can whip whole spinach leaves right into your frosting. If you’re coloring cookies or cake, or you don’t have a high-speed blender, you’ll want to use juice. My instructions for juicing without a juicer may come in handy. Another grassy-hued option is liquid chlorophyl, which aside from being a healthy supplement, will impart an awesome emerald tint to your food. You can grab it at any health food store. This is the tricky twosome of natural food dye, but it CAN be done. Purple is pretty straightforward, and is achieved by boiling red cabbage until you get a dark, concentrated broth. Lots of pretty purple color without much change in flavor. 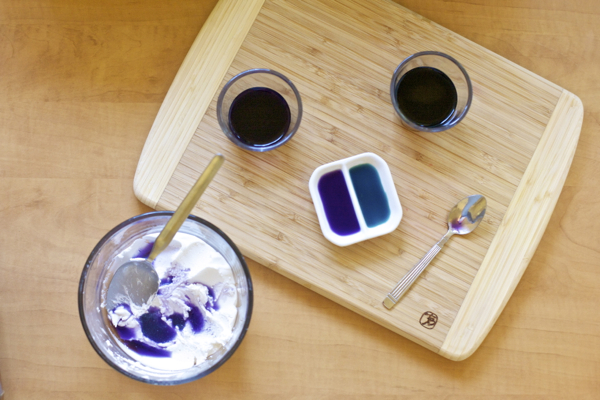 I love experimenting with homemade food coloring, and I hope you’ll have as much fun as I do. Remember that the natural stuff isn’t as potent as the chemical garbage, so be prepared for a less saturated look. Play around with measurements, get creative, have at it! I’m trying some black cocoa powder for my daughter’s bee birthday cake – not tried it yet but I can’t think of anything else! It’s what’s used for oreos. OOh ooh I thought of something!! Activated charcoal! How long will these colors keep? I want to make a natural colored rainbow cake during a hectic birthday weekend, can i prep these ahead of time and keep in the fridge? I need black any ideas?? how about black coloring for batman cake I’m making? I’m looking to make some homemade bath products (bath bombs, scrubs, etc.). Some of the recipes call for food coloring, which I don’t want to use (fear of staining skin etc.). But I can’t seem to find anything to replace the store bought chemical dyes. I don’t really want to use anything food based either, as I assume it will reduce the shelf-life of the products? So do you know of any way to make homemade colorant/dyes that don’t use food or chemicals as their base, don’t stain skin/clothes/etc. but still produce pretty colors? A touch of squid ink maybe? Would have to account for the salty taste. Happy experimenting!